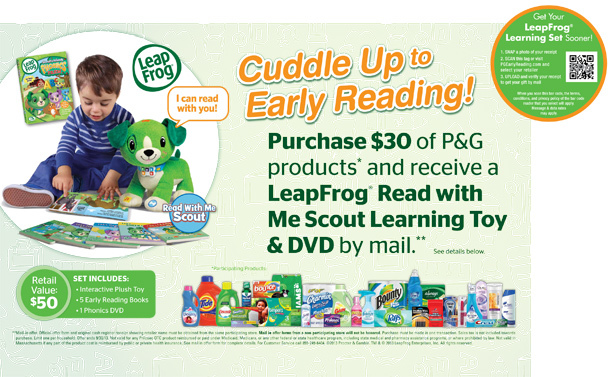 Shoppers have an opportunity to get a LeapFrog® Read with Me Scout Learning Toy & DVD when purchasing $30 or more of the promoted P&G Products. The shopper will have the opportunity to upload their store receipt via their computer. Alternatively, the shopper may also submit photos of their receipts via their mobile phone. The shopper will be required to text or email their receipt to the provided address. TPG will validate the photo submission via its patent pending DRVS validation platform. If the shopper has qualified TPG will bounce back an approval message.